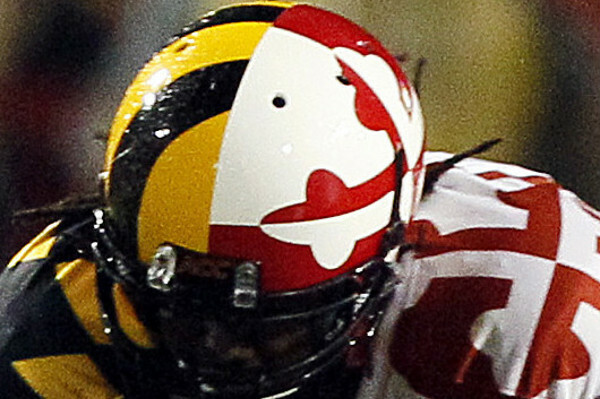 You may not remember, but in 2008, ESPN created the Helmet Clash, where they pitted some of college football’s best looking helmets against each other in tournament style polling. Florida State’s iconic gold helmet with the spear won out. 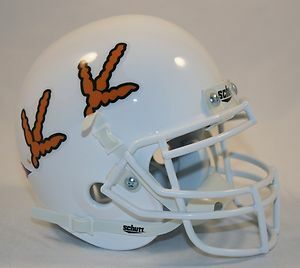 Now, in “honor” of this week’s Thursday Night ACC matchup where Virginia Tech is breaking out yet another new helmet (our #1 seed), we have done the opposite of ESPN’s Helmet Clash. 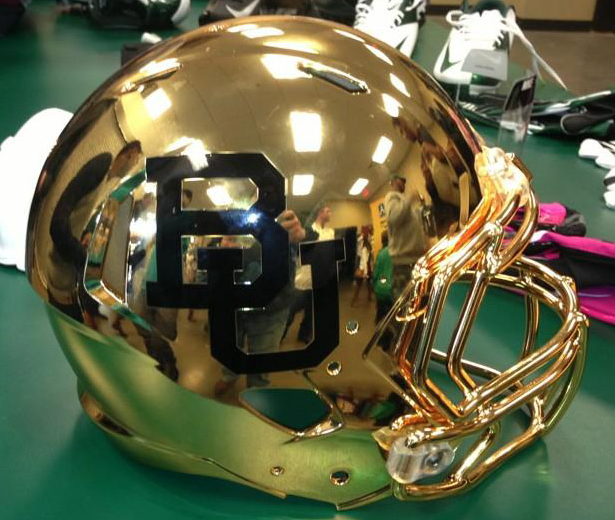 That is to say, I have paired up the eight worst helmets in college football. 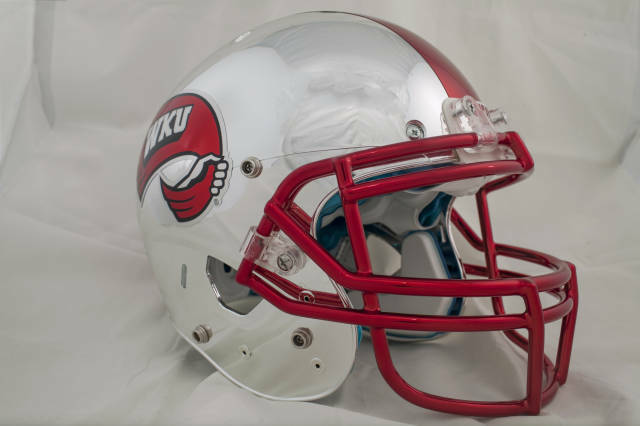 So instead of voting for the best helmet, now I ask you to vote for the worst helmet! 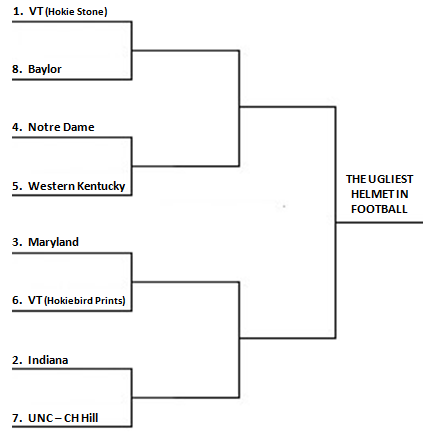 We’ll have one round per week starting with the “Not So Elite Eight” this week. Let the voting begin. Next we pit an iconic program versus a new FBS member. 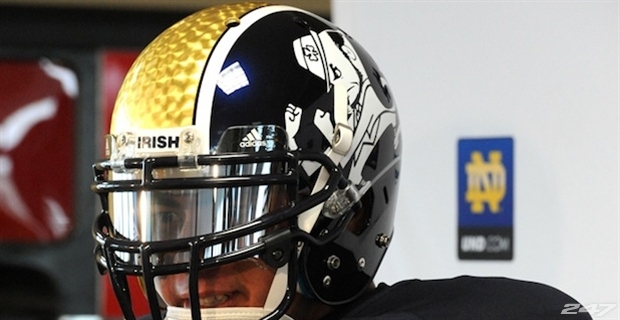 This Notre Dame helmet is from the Shamrock Series. 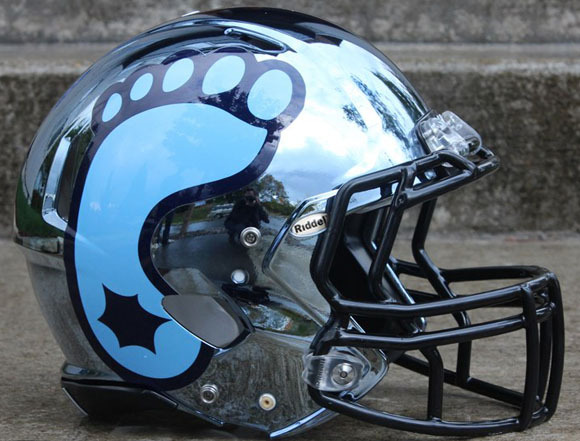 Now, for two of the ugliest helmets in the ACC. 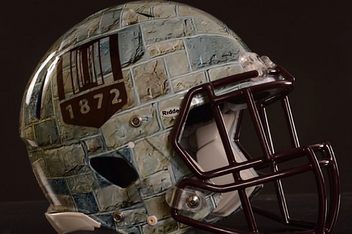 May we all hope and pray that these never see the field simultaneously. The world might implode. 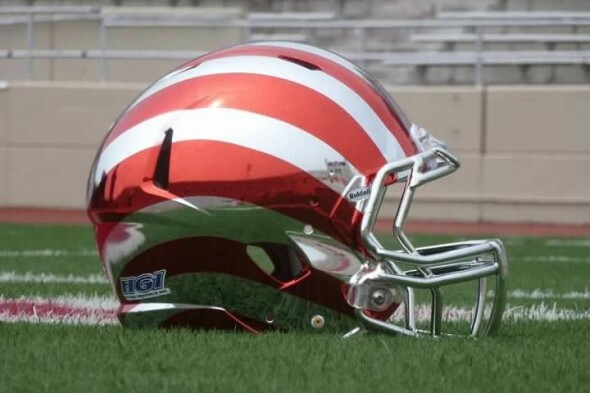 And we end with the #2 v. #7 matchup featuring two chrome helmets, the candy stripes from Indiana versus the foot of UNC. Results and the Round of Four will be posted in a new article on this site in about a week. If you enjoyed this post, please click the Facebook “Like” button on the right sidebar. You can share your opinions in the comment section below. Thanks for reading!